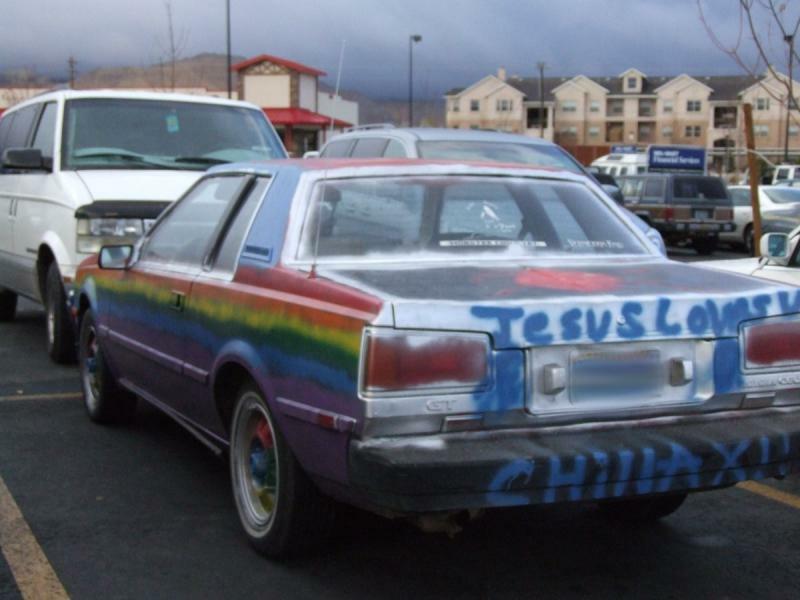 Seen in the Wal*Mart parking lot. 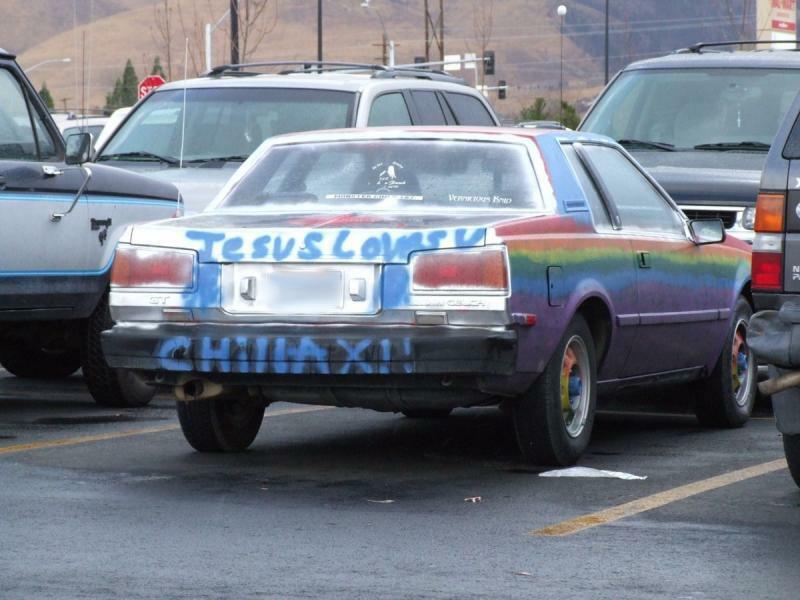 Does is say, “Jesus Loves” and then “Chillax”? Because I think that is what is says and I am laughing my brains out. I think Jesus would totally be down with the concept of chillaxin, probably even maxing out relaxin, chillin all cool and then shootin some b-ball outside the school. Cuz you know, Jesus is tight like that.